Crucifixion was an execution so agonizing, a word had to be made up to describe its pain. “Excruciating" is the word, and means, literally, “from the cross”. And in Luke’s account, it’s from the cross that Jesus prayed two utterly excruciating prayers. Sunday begins Holy Week: Palm/Passion Sunday (10:00 AM), Maundy Thursday (7:00 PM), Good Friday (7:00 PM), Easter Vigil (7:48 PM), Easter Sunday (10:00 AM). Check out this Rookie Anglican Guide to Holy Week. 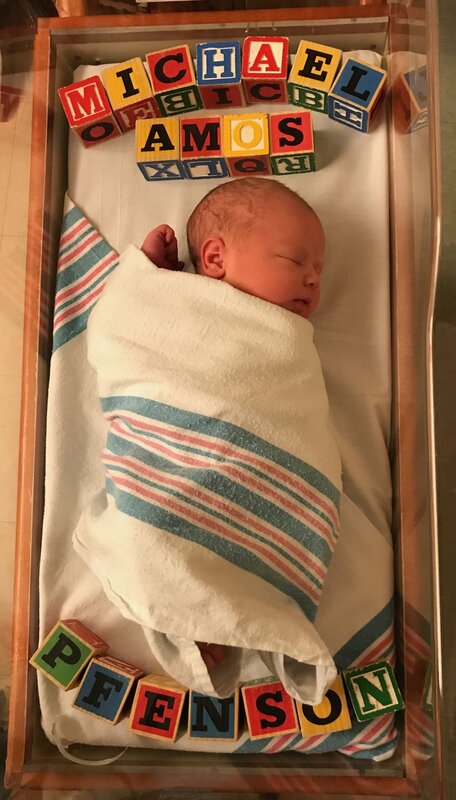 Baby Zeke Rees was born last Saturday evening, and not only are we thrilled at this joyous event, but it also creates an opportunity for us as a community to love and encourage the Rees family. How? Food, obviously (they do, after all, have five boys!). Elizabeth Pfenson is coordinating meals for them, and you can participate by following this link. Our 22-part Adult Study in Luke will pick up again Sunday, May 5th through June 30th, 8:45 AM. It’s definitely not too late to join in! We’ll take the summer off, but pick it up again this fall. That’s Appalachian Service Projects mission and we’re taking a team to join them in it, June 24-29. We’ll be painting new construction, so anyone, at any skill level can participate. The price per person is $325. If you’re interested in joining us, pleas contact Doug Gillikin. We’ll be making 100 lunches for Light House Homeless Prevention Center (and eating together) again this Sunday after worship. Meal Train: For the Rees family as they welcome their newborn son Zeke into the household. Sign up. Second Sunday Sandwiches: April 14 after the service. Vestry Meeting: April 14 at 12:30pm. Luke for Everyone: Resumes at 8:45am, Sunday May 5th. 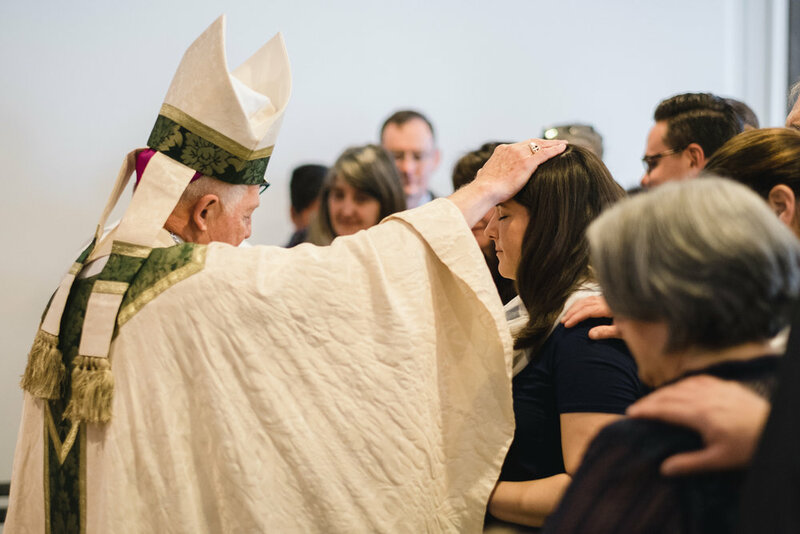 Confirmations with Bishop Julian: May 19th. 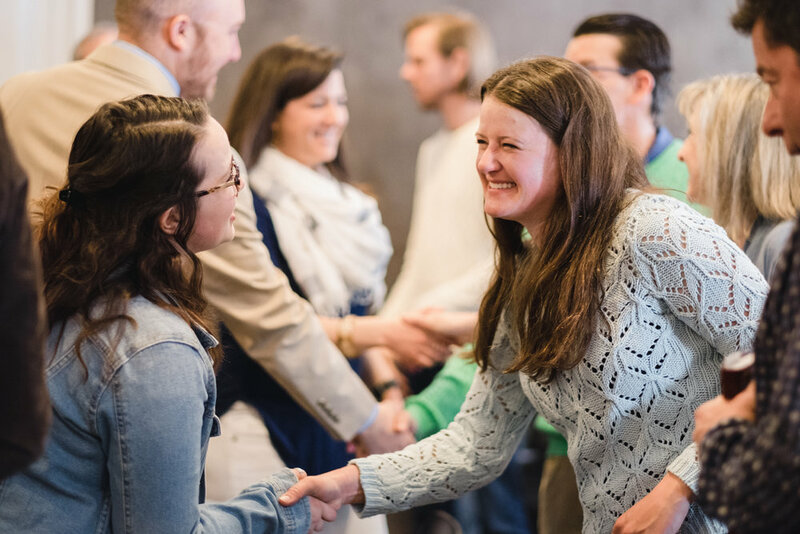 One of the key ways in which we offer ourselves in the Church is to each other, and that begins with one step: getting to know each other better. A great time and place to take that step is next Sunday, March 31st after worship; Redeemer’s quarterly 5th Sunday Potluck. Time to start thinking about what you’ll bring to share. You can sign up here. Suggested Lenten devotional: Lent with the Desert Fathers by Thomas McKenzie. Available here. Tomorrow, clergy around the world will draw a cross-shaped smudge of dark black ashes on the foreheads of millions of people. It’s the ancient rite of The Imposition of Ashes that signals the beginning of Lent. The words that accompany the ‘imposition’ on Ash Wednesday are simple, sober, and true. All God’s people. All races and nations and tribes from all ages and stages of life come to remember the stark reality of death and dust: Remember that you are dust and to dust you shall return. 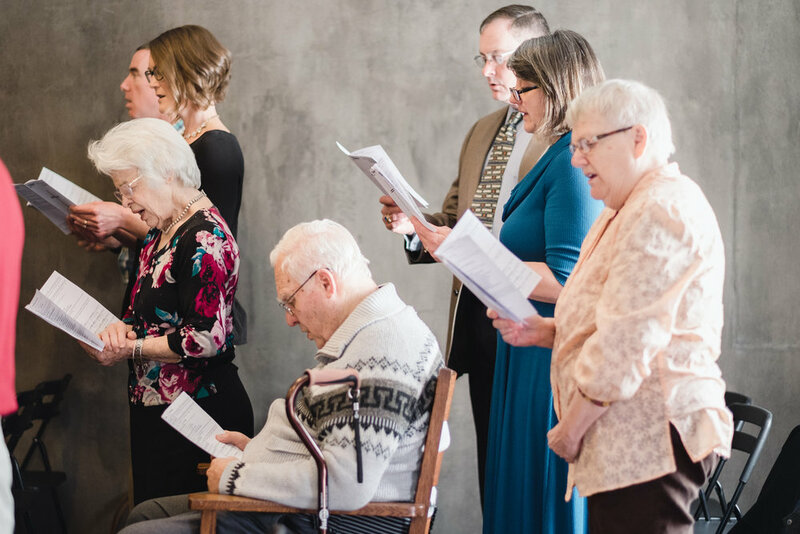 After this solemn reminder of our mortality, the congregation reads Psalm 51 together. This is the confession of David after he was confronted by Nathan. Candidly, the written instructions for the choirmaster of Israel for this Psalm are embarrassing, and we don’t generally read them: To the choirmaster. A Psalm of David, when Nathan the prophet went to him, after he had gone in to Bathsheba. The sin for which we need forgiveness would be embarrassing, too, if it were made as public as David’s. But regardless of whether our sin is secret or notorious, private or public, we join David in this one thing: We are dust and to dust we shall all return. It’s not at all happy-clappy, but there’s immense hope in it, too. Because we’re more than dust in the wind. Much more. Gloriously much more. And that’s precisely where Lent is headed. The Prayer Book says that we all go down to the dust and yet even at the grave we make our song: Alleluia! Alleluia! Alleluia! Why? Easter. As with Jesus, God will give us new bodies, resurrected bodies, glorious bodies, honorable bodies; not made of the earth or dust, but of heaven. In other words, one day, when all the dust settles, we will be made like him. O Happy Day! What begins with dust, ends with glory. I genuinely hope you’ll join us as we begin practicing a holy Lent together tomorrow, 7PM at the studio. Our 5th Sunday Potluck is, as of this Sunday, a movable feast…migrating from the last Sunday of December to the first Sunday of January. Hope you’ll join us after worship as we, once again, share a meal and some laughter around the table. Please sign up here to bring an entree and either a side dish or dessert. Epiphany is not a movable feast. The commemoration of the Magi’s visit to Bethlehem occurs every year on the 12th Day of Christmas. And just as Christmas, it’s observed on a specific date rather than day; always January 6th. Epiphany’s Gospel lesson affords us an opportunity to rescue the Magi from their places in the annual Christmas pageant (having "traversed afar”, they arrived in Bethlehem much later than, say, the shepherds), and restore them to their biblical roles as key witnesses to both the promise and threat of Christ. Matthew paints a vivid picture, not only of the welcome of God to the whole world, but also of some foundational truths and risks of true worship. Second Sunday Sandwiches: January 13th. Third Friday Bingo: 7:00-9:00pm January 18 at the Light House. Sign up. Ash Wednesday: The beginning of Lent is March 6th. Simply put, why makes what meaningful. Nearly anyone who reads this week’s Gospel lesson (The Widow’s Mite) can pretty quickly come up with the what (spoiler alert: sacrificial giving). That’s simple. But what’s the why? Well, that’s the vital question, isn’t it? You can like us on Facebook, or follow on Twitter or Instagram. Find out about what’s coming up and learn out our Anglican faith. Second Sunday Sandwiches: THIS SUNDAY. Sanctuary Flowers: Advent-Christmas. We are exploring ways to make our worship more beautiful with flowers for Advent and Christmas and then using the flowers which make our worship beautiful a gift to a neighbor who may need the encouragement. Email Ian to find out more. ian@redeemerannapolis.org. Daytime Volunteering: For those who are available during office hours there are some great ways to serve together with the Light House on a consistent basis. Email Ian to get involved. ian@redeemerannapolis.org. Yesterday was the feast of All Saints which we will observe Sunday. Why do we do this? To keep before us as examples—with thanksgiving—those who have walked ahead of us exceptionally by faith. It’s something Christians have always done, as it was in Hebrews 11. We’ll mark the occasion with a beautiful Litany*, and we’ll sing a stirring hymn that will be new to many called “By Faith” by Keith and Kristyn Getty. It will add richness to our singing if you’re familiar with is beforehand. You can listen to it here. *a series of petitions for use in Christian worship recited by a leader and responded to in a recurring formula by The People. Daylight Saving Time ends Saturday night. Things we hear all the time—even important things—can become so familiar we stop really paying attention. Think about the last time you were absorbed in what the flight attendant said just before takeoff. Cue the Charlie Brown adult sound. This week, though, we’re gonna pay attention. The word “Pentecost” is a very common word, at least in Greek. Nothing special. It means simply, “50th day”. In this case, after Easter. But what happened on Pentecost was not at all common...and it’s still vital today. Something else not at all common: Martyn Minns, CANA East’s founding Bishop, will be joining us this Sunday to preach and celebrate communion. You ought to join us. Online Giving We have partnered with tithe.ly to help make giving more accessible. If you do give online, you can find an online giving card on the back table on Sunday morning, so you can still participate by placing this card in the offering plate. Everyone knows Christmas and Easter are integral to the Christian faith. But what about The Ascension? Is it integral as well? And if so, why is it pretty much ignored? Maybe because it always falls on a Thursday...forty days after the Resurrection, and ten days before Pentecost. Maybe we just don’t understand its significance. Yesterday was The Feast of the Ascension. Did you know? But have you ever wondered why Jesus said in John 16:7 that it was better for us that he go away? It’s because The Ascension has profound implications for the Church as a whole, for you, and for Monday mornings. It’s too good to be ignored. Pentecost Sunday Bishop Martyn Minns—the founding Bishop of CANA—will be joining us next Sunday, May 20th to preach and celebrate the Eucharist. It’s an honor to have him visit. Thanks to the internet, there’s a robust debate (still!) about exactly what Jeff Bridges’ character, “The Dude” meant in the 1998 Cohen Brothers indy cult film, The Big Lebowski, when he told Sam Elliot, “The Dude abides, Stranger, the Dude abides.” Seems there’s a lot of opinion (and confusion) about exactly what it means “to abide”. The verb, “to abide”—which is used four times in this week’s Gospel reading—comes from a rich and variegated Greek word that describes not just an action, but equally, a state of being. It’s inexact, but inclusive. In other words, it’s an intense and demanding thing truly to abide. And speaking of the internet...Redeemer has recently partnered with Tithe.ly to offer a simple and convenient app-based option for giving. Check it out. It’s great on IOS and Android devices, as well as your Mac or PC. Times and technologies have always shaped the way people give. It would have been difficult (and messy) for example, to “pass the plate” in ancient Israel if your tithe were a cart full of grain, or several gallons of olive oil. But then came coins...then paper money...then personal checks. When I was a kid, you couldn’t imagine tithing with a credit card (very few people even had one), much less online. Online was where you stood, and the “innernet” was the mesh lining of your swim trunks. Today though, a rapidly growing number of people are giving from their smart phones, and I’d like you to consider joining them...and me. Redeemer has recently partnered with Tithe.ly, an app-based service that specializes in local church giving. They use the same encryption technology as your bank, Amazon, and PayPal, and over 4,200 churches and organizations worldwide such as Hillsong, Ravi Zacharias International Ministries, and The Salvation Army have partnered with them, too. With Tithe.ly you can give directly from your bank account, through your bank’s online giving service, or by using your debit or credit card. And it’s easy to set up recurring gifts. One of the most, perhaps the most significant spiritual habit one can develop is that of regular sacrificial giving, because it flows so abundantly into the rest of life and frees us so profoundly from the tyranny of money. It’s so important that it’s the only thing in Scripture God challenges us to test him in. And yes, I know prepositions are bad things to end sentences with. Wink. Lauren and I are giving with Tithe.ly and we’d rate it five stars. Please, check out Redeemer’s Giving Page and join us. Oh, and while you’re online anyway, sign up for Sunday’s 5th Sunday Potluck. We want you there! Fifth Sunday Potlucks April 29; July 29; September 30. Remember to pray for Andrea, Kelly, Cathy, Melissa, and Lauren who were Confirmed this past Sunday. See more photos here. One of the things I like best about The Anglican Way is that we’re not out there on our own. We’re a community in a Communion. And we have Shepherds. I can make a good argument that in the Body of Christ, this is exactly the way it ought to be. One of those Shepherds, Bishop David Bena, will be leading our worship and Confirming some of those among us this Sunday, April 22. I hope you’ll take the opportunity to meet him Sunday at “Bagels with the Bishop” at 9. It’ll include both bagels and a Bishop, which you may have already assumed. One other thing...we’ll be singing a different setting of “The King of Love My Shepherd Is” Sunday. The original one. It’s beautiful, and you can see the music and listen to it here (I really think you’ll be glad you did). We won’t be singing all the parts...just the melody, but I’d love for you to be familiar with it. Bagels with the Bishop: April 22 at 8:45am. See more. Two new roles - Apply here. Hospitality Coordinator: Ensure our coffee station is set up, stocked, presentable in time for Sunday worship. Clean up and put away the station after coffee time. 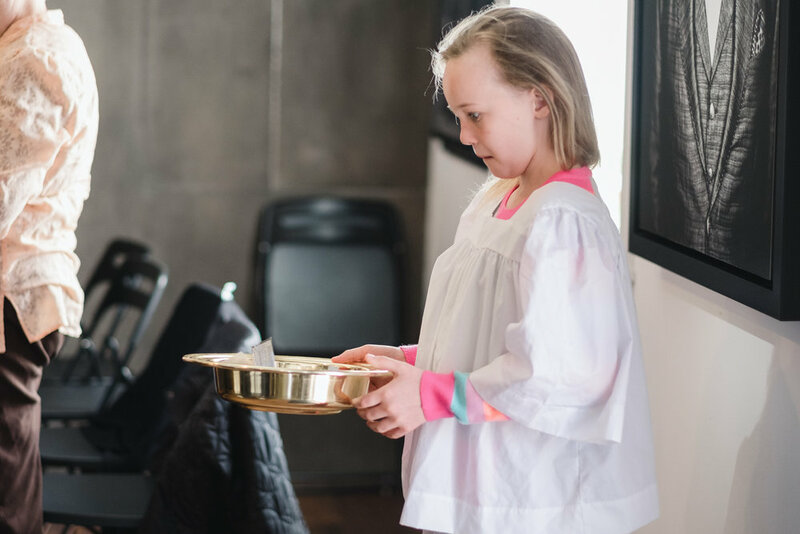 Sacristan: Care for the Lord's Table, linens, items, and vessels used in our Worship. Ensure the Table is appropriately and reverently set in time for Sunday worship, and put away all linens and items after our service is concluded. In a culture that seems to be growing increasingly ideological, “both/and” is something you’re hearing less and less. We’re increasingly attuned to “either/or”: Democrat or Republican. Environment or Economy. Conservative or Progressive. Paper or Plastic (I know, this last one’s not truly ideological, but I really prefer paper even though I feel guilty about it). The Church, because it’s full of human beings, isn’t immune from an either/or way of seeing things in its orientation to worship. It’s often expressed as Word or Sacrament. But Jesus, on the evening of the first day of the week in Emmaus practices both/and. In fact, it’s how he’s known. Adult Confirmation Class: Concludes Sunday, April 15 at 8:45am. Continues Sunday, April 8 at 8:45am. April 29; July 29; September 30. April 22 at 8:45am. See more. Maundy Thursday: March 29 7:00pm. Good Friday: March 30 7:00pm. Easter Vigil: March 31 7:30pm. Easter Sunday: April 1 10:00am. We rejoice with Elizabeth, Thomas, and Silas at the arrival of Michael Amos Pfenson, born Monday, February 19. 9 (nine, nein!) lbs. and beautiful. Thanks be to God! Please email Lauren Wishart here if you’d like to provide a meal for the Pfensons. We have Adult Confirmation Class beginning on Sunday, March 18 at 8:45am. It goes four weeks: 3/18, 3/25, 4/8, and 4/15 (skips Easter morning). Confirmation with Bishop David is scheduled for 4/22. Seven Pillars of Servant Leadership continues this Sunday. Every Thursday at 6:30pm during Lent at Downtown Hope.